I have been a follower of the Total War series of games, one of the few unassailable bastions of PC gaming left, since the original Shogun: Total War. 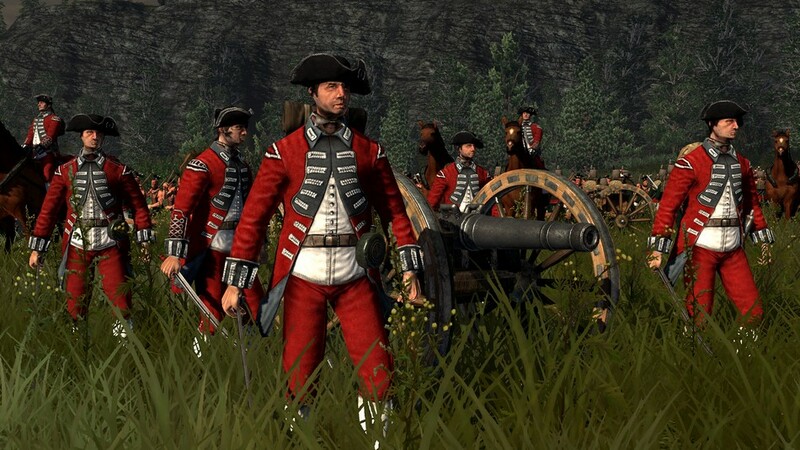 Its melding of table-top styled turn-based strategy combined with truly epic real-time tactics of a scale never before realised was something that defines the Total War series, and has never been challenged in any serious way by any other developer. Yet each iteration of the Total War series brings it to a new level, streamlining, improving, culling and adding features and graphical enhancements that have made it a deserved award winner each time. 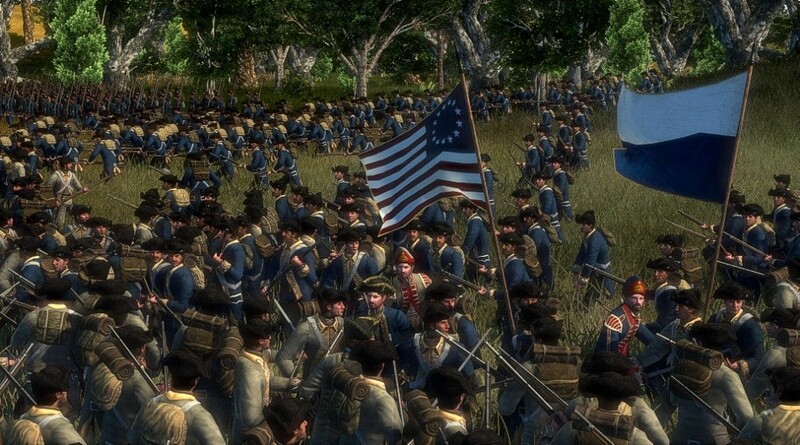 Empire: Total War is no different. You could accuse it of stagnation, if you were that cynical, because all they have done is take the formula that has worked so well in the previous four games (and expansions) and improved on every element. The lazy sods. If you are new to the Total War series, imagine a grand and epic strategy game; the sort that used to be played on table-top or in more recent years as a hex-based computerised game and takes days, weeks, or months to complete. The sort of game where you manage every element of your empire, and through superior managerial skills roll over your opponents with a juggernaut army, navy, or economy. Now imagine, instead of battles consisting of attacking a position, and then receiving a post-battle report which takes into account unit strengths, experience, and luck, you take control of that battle, and every unit is rendered in breath-taking graphical flair. A situation where you can turn the tide on a numerically superior foe, or make a terrible mistake and get embarrassingly routed off the field. Imagine being able to decide exactly when to retreat, preserving your troops, or ordering your troops to fight to the death. This is the Total War series. It sounds hard to believe that a single game could be all that, but in truth each one has been, and they have been pulling it off since the year 2000. Not that any of the games have been perfect. Each one has had a number of quibbles or frustrations that you can’t help but wonder how they were overlooked with all the depth and polish surrounding them. Again, Empire holds true to this trend. I needed to explain all of the background so that veterans to the series and new comers alike realise that this is well-worn territory. There are plenty of new additions (most notably playable naval battles) and tweaks to the way things are done (such as moving structures primarily out of the cities) to keep veterans busy learning everything again. New comers may struggle for several turns, or even an entire campaign, as they try and break into a design that has had layers and layers of new ideas added to it over the years. At first, everything will seem overwhelming, but it shouldn’t take too long for it all to lock into place as you work out how trade, farms, mines, universities, armies, navies, government heads of state, taxes, unrest, clamour for reform, and everything else interact. It all seems overwhelming, even to an experienced Total War player, and although the advice that pops up is fairly patchy (sometimes helpful, sometimes not, and oftentimes silent) there is a lot of information to be gleaned from mouse-over tool-tips. You may feel like any mistake may bring your economy to ruin, and grind your military conquest to a halt, crumbling your empire via fresh-faced naivety – but actually, it’s quite forgiving. The campaign map covers the known world at the time of the 18th century, but is subdivided into “theatres” which allows scale to be more realistically portrayed without getting bogged down into nitty-gritty “travel time” between Europe, the new world, Africa and India. It is beautifully rendered, populated with mountains, forests, roads, cities, and other such niceties. Many of these things are of strategic importance as well. For example, if a battle takes place near a river on the campaign map, the real-time battle will have a river that needs to be traversed as well. Each section of the world is broken down into “provinces”, which is par for the course for a Total War game, but this one has quite a few less than in recent titles. This is because several regions are now rolled up into one province, which is controlled largely through the capital. However, villages and towns dot this province where previously there would be several regions, and when they become big enough to be declared a city (growth in the province being dictated by the state of your farms, tax rate, and current population primarily) you can then decide what sort of city it should be – a place of scholarly learning, a money-making textile factory, a place of famed holy worship, or a rambunctious locale of entertainment and distractions. Each decision will go on to affect the province as a whole, thus letting you walk the line between a solid income, a happy populace, and a powerful military. As well as towns there are farms and mines that dot the country-side and can be upgraded to provide the expected benefits. The whole point of having these things scattered around a larger province is that now you need to actually head out and defend territory, rather than bunkering in behind massive walls. This creates far more varied battlefields, and a few more tactical choices than before. Once things turn sour – and inevitably it will as the diplomatic AI is still, unfortunately, Total War’s greatest weakness – battles will revolve around the terrain in which you engaged on the campaign map, creating a massive 2000mx2000m battlefield for you to do deploy 2000-odd troops on and use historically accurate tactics to battle your opponents with. The land real-time battles are a thing to behold. Watch the artillery from a range, and see the plume of smoke, then seconds later a cannon ball bouncing through the ranks of troops or zoom in close and hear the fizzle of the fuse as the operators cover their ears for the imminent “boom.” See lines of hundreds of men standing less than 100 metres apart rippling musket fire into each other. Send cavalry charges, complete with bugle horn, bounding over low walls and crashing into enemy lines. The real-time battles have always been a strong suit in Total War, and now they are better than ever. Even if the age of sail and musket isn’t your favourite, you’ll still enjoy the scope, tactics, and graphical polish. If it is your favourite era, needless to say you’ll be giddy with joy. Well, actually, you’ll probably end up complaining that artillery couldn’t possibly load canister shot that quickly, or some other nitpick, and that’s why everyone ignores you. 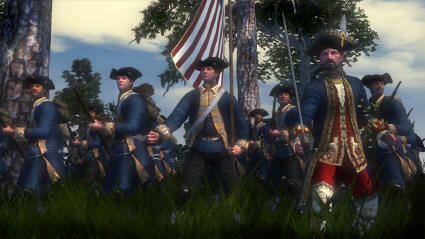 For the first time ever in a Total War game, Empire: Total War also has real-time tactical battles for the Navy. I should hope so, considering the time frame. I just wish it had been done sooner, but it’s here now, so – is it up to snuff? In short: yes. There is certainly plenty of incentive to get yourself a strong navy. In the past, blockades could be more or less ignored and so the only reason to build a good navy was to get your troops across to some otherwise unreachable parcel of land - something that could be achieved with a bit of luck, and a single sneaky ship. Now, however, trade between the different theatres is naturally performed via sea routes and this can be a very large portion of your income, depending on your nation of choice. Enemy navies, as well as blocking your ports and troop transports, can also blockade the trade routes themselves raiding your hard-earned route, and taking a portion of the money for themselves. This makes it a double penalty as you lose money, and your enemy gains some. The only solution is to send out your own fleet and go broadside-a-broadside and free up the oceans. The real-time sea battles are certainly gorgeous, but are perhaps a little lacking in comparison to the land battles. There are a number of factors conspiring together to make it seem so. Firstly, it is fundamentally different to land battles, which means that even seasoned Total War players are starting from square one. Secondly, there are a lot of things to consider, and few of them are clearly understood by the player (new players to land battles may feel the same, but at least they have a body of knowledge in the online community to tap.) Thirdly, all these things: wind direction and speed, crew morale, crew count, guns count, ship sailing characteristics, ship battle characteristics, damage, fire, three different types of shot, etc. seem to be inadequately handled by the control scheme. The ships seem to make extremely questionable decisions when trying to get into formation, or if you tell them to attack a specific enemy – and considering the lumbering pace of a sea battle, where a false move can put you in a terrible position for many minutes – you have little choice but to control every ship manually. This is a tall order, and frequent use of the pause command is required. Perhaps these are all factors stemming from the controls. If the ships behaved a little more intuitively, we could dedicate our situational awareness resources to the state of repair of our ships and all the other factors. Once you get the hang of it, things such as ammo explosions and spreading fires amongst the enemy ships are thrilling affairs. You have to be wary of battle damage sinking your ship several minutes after you sustain it (seeing the men leap from the ship as she goes down looks very neat) and lucky shots killing your Admiral outright. 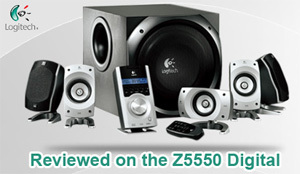 It’s exciting, looks great, and has great depth… but getting it to do what you want can be finicky. To off-set what would otherwise be a perfectly glowing review, I should spend a little bit of space talking about the one critical flaw of Empire: Total War. That flaw is the Diplomatic AI. The battle AI is fairly solid, only occasionally doing suicidal or strange moves, and often pulling off solid flanking manoeuvres and other real-world tactics. The campaign AI could be called a little passive, not often coming for your throat – but perhaps that is by design so the player can’t back themselves into a corner after many days play. The diplomatic decisions the computer makes, though, have little excuse. Some of the war declarations the AI decide on just boggle the mind. Small nations declaring wars on friendly super powers, and then doing nothing until they are a foot-note in history seems counter-productive. The costs and bribes required to establish mutually beneficial trade agreements defy logic. The inability to call for a peace, even after half a decade of war in which neither side exchange a shot, is just ridiculous. Not only is it an entire element of the game that is denied to you, as a player, but it has repercussions on other elements as well, as you are stuck essentially in a perpetual war as nations randomly declare war on you and drag their allies in with them. Trying to wriggle your way out is nigh on impossible, forcing you to crush them all one by one. By the time you can settle into some peace time build-up, and quelling your war-weary populous… you’ve essentially won. In the past modders have fixed these issues after a while, but it’s hard to understand why Creative Assembly haven’t done this already when the community has paved the way for them time and again. The Total War series really does just keep getting better. 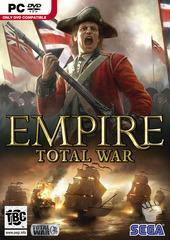 There are a few niggling problems, and some of the community seem to be struggling to get Empire: Total War to run properly – although whether this is a problem of the game, or Steam’s delivery system is hard to say at this stage (and beside the point to someone who is frustrated and unable to play) but otherwise Empire is the next evolution in an already superb series. If you are a long time fan there is just no reason not to pick up this game – if you are new to the series, now is the best time yet to get into it. I can understand some gamers not warming to the grand strategic aspects, and the fear of “one-more-turnitis" which prevails in Total War games, but everyone else should find a strong contender for the game of 2009.